J.E.M. 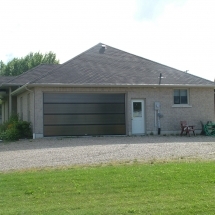 DOOR CO. LTD. is a family owned and operated company, started in 2001. J.E.M. DOOR CO. LTD. was the very first company to originate the idea for using a transparent poly-carbonate material in place of the traditional solid metal panels for overhead doors. Since our breakthrough, we have often been imitated, but never duplicated. FOR YOUR NEXT PROJECT, INSIST ON THE BEST! Each door is made to your specifications. 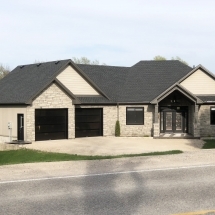 We pride ourselves on the quality of workmanship, from manufacturing to installation. 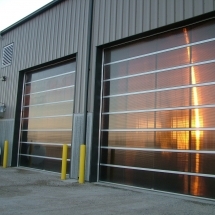 Polydoors offer high impact resistance and are able to resist constant thermal exposure. Unlike traditional doors, Polydoors will last for years. Polydoors offer outstanding performance against the elements, while maintaining its appearance for years. 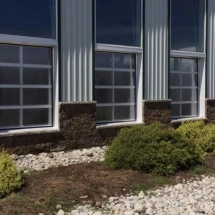 Polydoors have the unique ability to screen out the undesirable summer heat and also retain the internal winter warmth, allowing for tremendous energy savings. Which makes it a greener choice. 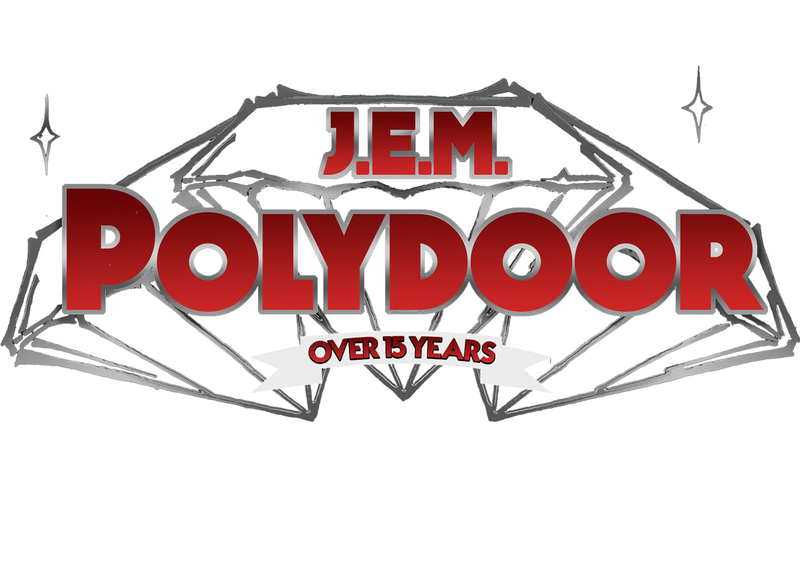 Polydoor ships to anywhere in Canada and the United States. For availability of product distributors in any locality, please contact us. 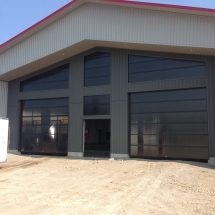 The Polycarbonate overhead door can be supplied as a complete or part package and installed by the J.E.M. DOOR CO. LTD professional installers. We can also supply the doors if you have your own contractor. J.E.M. provides service to all of our doors. Contact us if the door gets damaged, or a manufacturing default occurs. We will come to your location and service the doors. 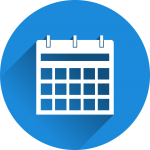 Find out more about our service range, and the types of services we can offer.